Every country has famous musical artists that the locals just love to follow and listen to. These artists may be in groups, bands, or solo. Specifically, in Japan, several genres of music continue to develop through the years. One of the growing types of musical artists these days is a girl group. Several girls are forming their own groups or going to auditions to join a girls' group at such a young age. Together, they train to become one of the most popular girl groups in the country. One of these girl groups is HKT48. 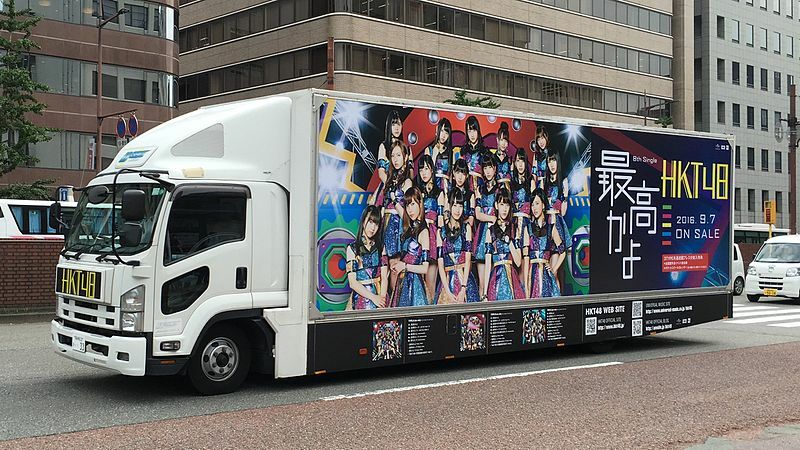 Produced by Yasushi Akimoto, HKT48 is a popular idol girl group in Japan. This girl group does its performances in the HKT48 Theater. The theater is located at Nishitetsu Hall in Fukuoka. They began their performances in the said theater on the 28th of April in 2016. Many may wonder what the three letters of the name of the girl group stand for. Basically, it was based on the place known as Hakata-ku, situated in the city of Fukuoka in Fukuoka Prefecture. It was where the group was initially supposed to be based on. On the other hand, the girl group used to perform in a theater situated in Hawks Town Mall located in Chuo-ku. However, this only lasted until the 31stof March in the year 2016 prior to the opening of their new theater. It was on the 19th of November in 2008 when plans of creating an idol girl group were first introduced. 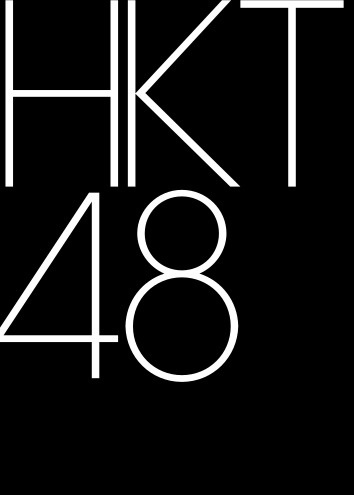 The group was to be called HKT48, as revealed by Yasushi Akimoto, the producer of AKB48. The official announcement of HKT48 was made on the 1st of May in 2011 during an AKB48 handshake occasion. HKT48 is considered as the 4th sister group of AKB48, following SKE48, SDN48, and NMB48. After its official announcement, another was made stating that applications would be accepted from girls between the ages of 11 and 22. The first round of auditions occurred on the 31st of May in 2011. Successful applicants from the first round proceeded to perform during the second round of auditions. The second round was a test for singing and dancing. It took place in the first half of July in 2011. Finally, the last round occurred on the 10th of July at Hilton Fukuoka Sea Hawk Hotel. Twenty-one candidates were chosen to be the official members of HKT48. All the successful candidates had to undergo training in singing and dancing before they were officially revealed as the first-generation members of HKT48. Their formal introduction was held on the 23rd of October in the year 2011 during an AKH48 handshake event at Seibu Dome. The idol girl group included 2 elementary school students and 17 junior high school students and below. At the time, the youngest member of HKT48 was Natsumi Tanaka. Born in the year 2000, she was only 11 years old when HKT48 was announced. On the other hand, the oldest member of the group at the time of the announcement was Yuko Sugamoto. At the time, she was only 17 years old. Another round of auditions was held for the second-generation members of HKT48. The final round was held on the 23rd of June in 2012. This resulted in 34 candidates passing the final round. Two months later, an announcement was made about some members of HKT48 resigning due to personal reasons on the 18th of August in 2012. Nonetheless, HKT48 still continued to grow. In fact, one of the former members of Team A of AKB48 transferred to HKT48, as announced on the 24th of August in 2012. This member was Aika Ota. Moreover, the second-generation research students of HKT48 were also revealed on the 23rd of September in 2012. On the 20th of March in 2013, the idol girl group released their debut single entitled “Suki Suki Skip!” under the record label of Universal Sigma. Teams and Members: Akiyoshi, Matsuoka, Sakura, Etc. The announcement for the formation of Team H was made on the 4th of March in 2012 at HKT48 Theater. During the same conference, another announcement was made regarding the number of members included in the said team. Team H consisted of 16 members carefully selected as well as 5 members that would stay on as trainees. Another formation of a team was announced on the 11th of January in 2014. The theater manager Rino Sashihara introduced the new Team KIV during the first exclusive concert tour of the girl group in Oita. The new team would consist of 17 members. Two years later, another new team was revealed called Team TII. This announcement was made on the 30th of March in 2016. The captain of Team H is Natsumi Matsuoka. Other members of Team H are Yuka Akiyoshi, Haruka Ueno, Haruka Kodama, Yui Kojina, Hiroka Komada, Riko Sakaguchi, Rino Sashihara, Miku Tanaka, Meru Tashima, Natsumi Tanaka, Aki Toyonaga, and Nako Yabuki. On the other hand, the captain of Team KIV is Aoi Motomura while its co-captain is Sakura Miyawaki. Other members of Team KIV are Mina Imada, Shino Iwahana, Nao Ukei, Hirona Unjo, Serina Kumazawa, Yuki Shimono, Nene Jitoue, Asuka Tomiyoshi, Miko Tominaga, Maiko Fukagawa, Mai Fuchigami, Anna Murashige, and Madoka Moriyasu. As for Team TII, its captain is Emiri Yamashita while its co-captain is Hazuki Kokazono. Other members of Team TII are Misaki Aramaki, Maria Imamura, Ayaka Oda, Sae Kurihara, Moeka Sakai, Erena Sakamoto, Rio Shimizu, Tomoka Takeda, Amane Tsukiashi, Hana Matsuoka, Hinata Matsumoto, Sono Miyazaki, Vivian Murakawa, and Yuna Yamauchi. There are only five Kenyuusei members. These are Yueru Ito, Ai Seki, Sayaka Baba, Yumi Matsuda, and Akari Watanabe. Members who have graduated from Team H are Yui Komori, Yuko Sugamoto, airi Taniguchi, Izumi Umemoto, Chihiro Anai, Haruka Wakatabe, Naoko Okamoto, Yuriya Inoue, Mashiro Ui, Marina Yamada, and Mao Yamamoto. Members who have graduated from Team KIV are Kanon Kimoto, Manami Kusaba, Izumi Goto, Raira Ito, Kanna Okada, Aika Ota, and Yuka Tanaka. There is only one member who has graduated from Team TII and that is Riko Tsutsui. Former members who have been transferred from HKT48 to another group are Chiyori Nakanishi and Marika Tani. The popular idol girl group has its own theater when they perform regularly. This theater is known as the HKT48 Theater. At present, it is considered as a non-permanent theater located at the Nishitetsu Hall. The hall is situated on the 6th floor of Solaria Stage Building, which can be found in Tenjin, Fukuoka. 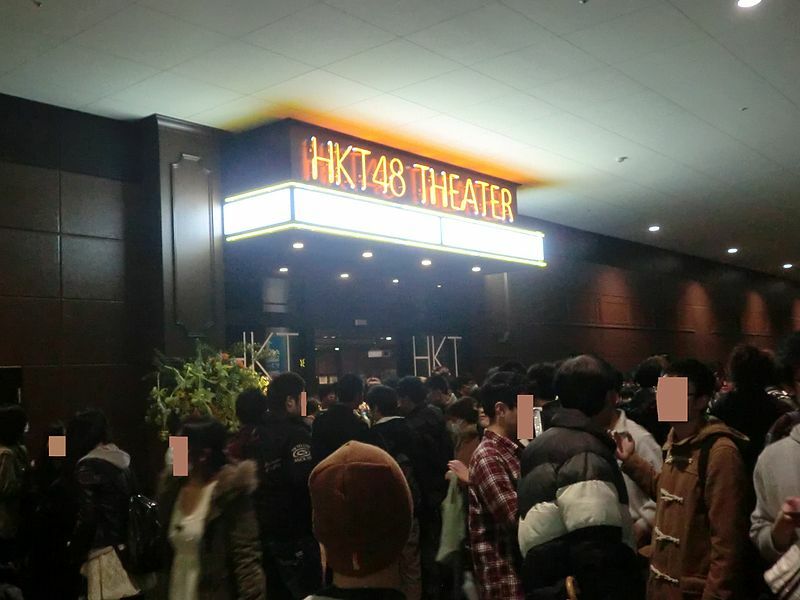 The theater is considered a non-permanent one because it can also be utilized for other events even though these may not be in relation to HKT48. These events include but are not limited to plays and musicals. Hence, there may be times when the theater infrastructure has to be disassembled to make way for the other events to be held in the theater. After these events are over, the theater infrastructure for HKT48 would be rebuilt again. The HKT48 Theater consists of a front stage sandwiched by two side runways that connect it to the audience. In addition, a B-stage can also be found in the middle of the audience. Members of HKT48 use all these components during their performances. These include even the stairs located behind the theater. At present, Ozaki Atsushi serves as the theater manager, together with Sashihara Rino. Previously, the manager was Sato Kazuya. The former theater of HKT48 was located in Hawks Town Mall situated in Hakata Fukuoka. It stood beside the Fukuoka Yauoku! Dome. However, this only served as their theater from the 25th of November in 2011 to the 31st of March in 2016. It was also the sole 48-group theater to consist of a permanent built-in walkway that had a platform that can rotate and be elevated. Aside from a theater, there is also a TV show that surrounds HKT48. This TV show is entitled “HKT48 no Odekake.” It is a TV show in Japan that regularly features several members of HKT48 each episode. Every episode shows members of the group going to various locations found in or around Fukuoka to try and gain more followers. The host of the show is Goto Terumoto, a popular comedian in Japan. He is accompanied by Sashihara Rino, a member of HKT48. To provide an overview of the show, the first episode of HKT48 no Odekake, some members of the popular girl group went on to visit the Yanagibashi Rengo Market. It is a food market that can be found in Fukuoka. Aside from talking to several stall owners in the area, the members of the group also tried some food samples sold there. For the second episode, certain members of the group went to visit a shopping street in Fukuoka called Kamikawabata. It was in this location where they met two actors by the name of Ukaji Takashi and Papaya Suzuki. This episode was also the last one where Sashihara Rino acted as the member of the group in the show. After which, she started working as the host of HKT48 no Odekake. Being a relatively new idol girl group in Japan, HKT48 has not produced a lot of albums and singles. However, they are definitely on their way there. HKT48 had their first studio album released entitled 092. It was released on the 27th of December in 2017. It was produced under the label of EMI Records/Universal Music Japan. The UPCH-20469, 20470, 20471, and 20472 cost 4,980 yen each while the PRON-1017 cost 2,484 yen. Five months later, HKT48 released a single entitled “Hayaokuri Calendar.” It was released on the 2nd of May in 2018. It was again produced under the label of EMI Records/Universal Music Japan. The UPCH-89353, 89354, and 89355 cost 1,524 yen each while the PRON-5022 cost 1,028 yen. “Hayaokuri Calendar” was performed by 16 members, including Komada Hiroka, Tanaka Miku, Yabuki Nako, Ueki Nao, Moriyasu Madoka, Aramaki Misaki, and Matsuoka Hana. “Kisetsu no Sei ni Shitaku wa nai” was performed by 16 members including Tashima Meru, Toyonaga Aki, Unjo Hirona, Miyawaki Sakura, Matsuoka Hana, and Aramaki Misaki. “Just a moment” was performed by 14 members including Akiyoshi Yuka, Tanaka Natsumi, Jitoe Nene, Fukagawa Maiko, Imamura Maria, and Shimizu Rio. Performers of these songs come from different teams of HKT48. Truly, HKT48 is a Japanese idol girl group that has a promising path in the music and entertainment industry. With so many developments in the works on how to further improve their skills and increase their popularity, HKT48 is indeed on its way to the top. What’s up with Japanese Vending Machines (Jihanki)?